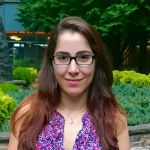 Jessica is a PhD candidate in the Department of Biomedical Engineering in Case Western Reserve University (CWRU), working with Dr. Robert Kirsch. She is interested in developing technologies to restore motor function to people with motor disabilities. In BrainGate, she is currently exploring ways to allow paralyzed participants controlling BCI systems to more reliably interact with objects. Particularly, she is investigating how changes in context may affect motor cortical neural activity during functional tasks. Prior to BrainGate, Jessica received her bachelor’s degree in mechanical engineering and master’s degree in biomedical engineering, both from the Federal University of Rio de Janeiro (UFRJ). Her research focused on developing: (1) biomechanical models to simulate hand tendon transfer surgeries and (2) a framework to characterize the kinematics of the ulnar claw in people with Hansen’s disease.